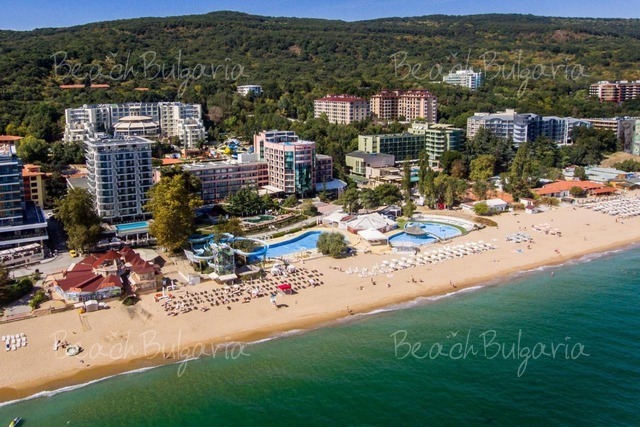 Sveti Nikola Holiday village is situated on the sea coast in the residential area of Chernomorets resort. 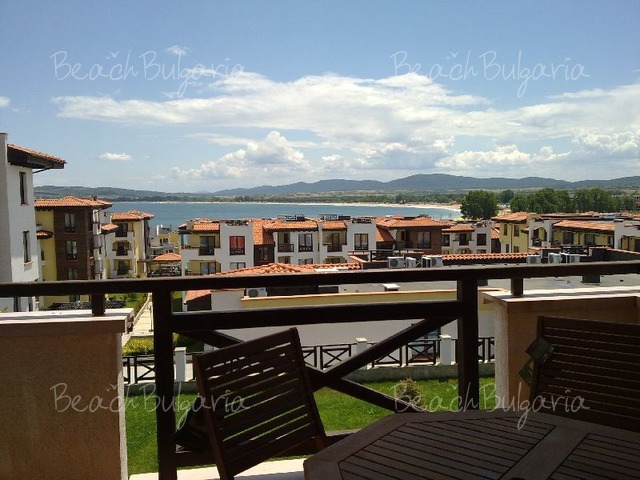 Sveti Nikola is a luxury holiday complex of closed type. The complex is surrounded by a large private park. 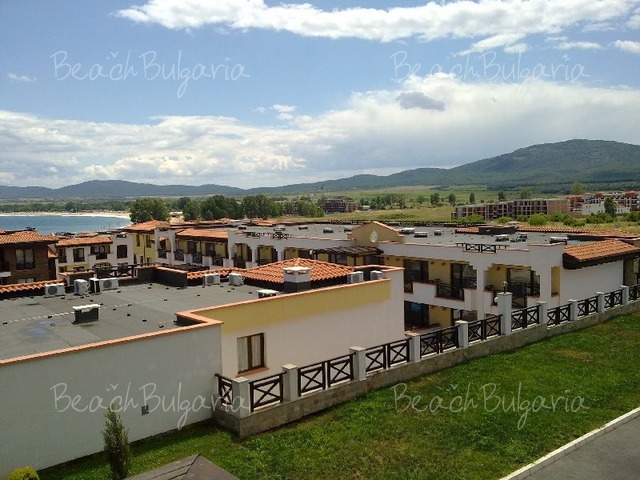 The complex is located 300 m from the sandy beaches of camping Gradina. 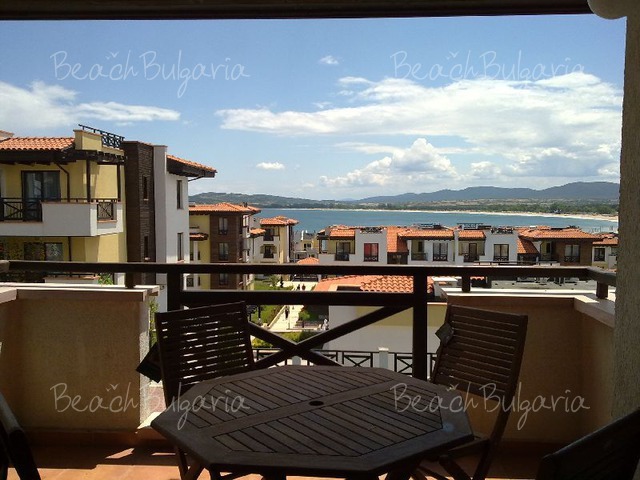 Sozopol is located 8 km away from the complex and the centre of Chernomorets resort in located 3 km from the complex. 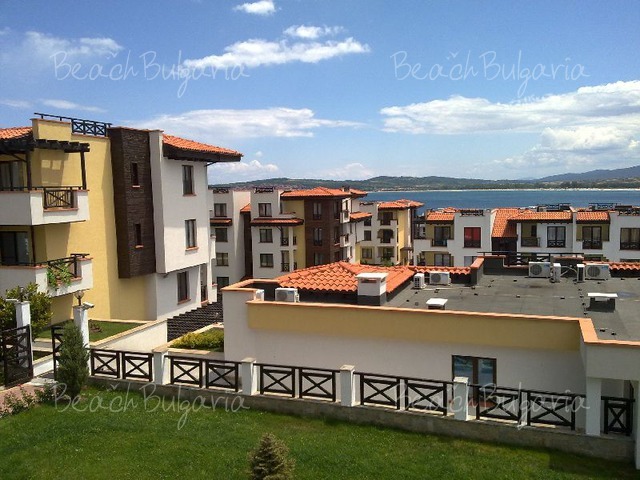 Sveti Nikola consists of two complexes with 235 guestrooms - studios, 1-bedroom apartments, 2-bedroom apartmets and 3-bedroom apartments. 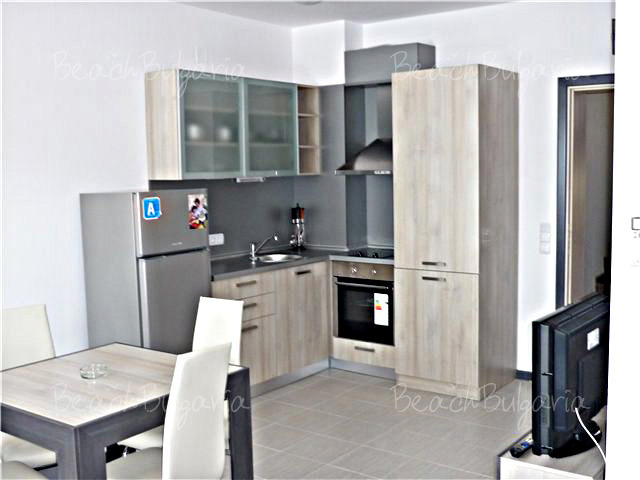 All premises feature TV, internet, telephone, air-conditioner, iron and ironing board, washing machine, fully fitted kitchenette. 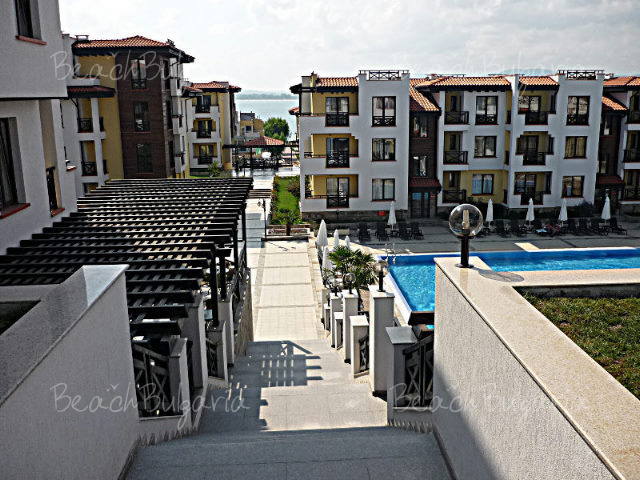 There are 2 bathrooms in 2-bedroom apartments and respectivly 3 bathrooms in the three-bedroom apartments. 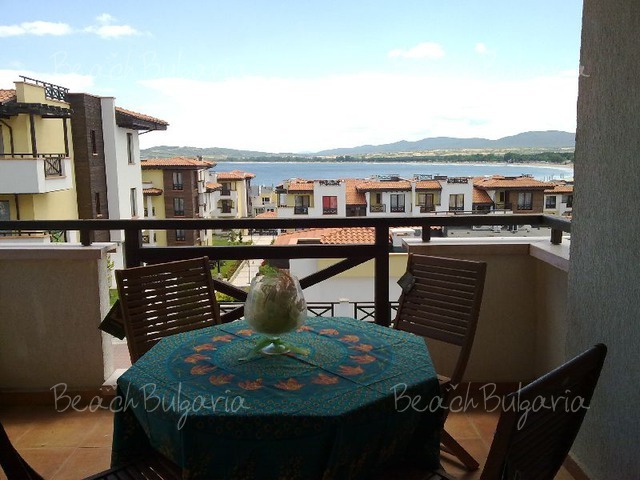 The property features a restaurant with with varied breakfast, lunch and dinner menu from the Bulgarian and international cuisine. 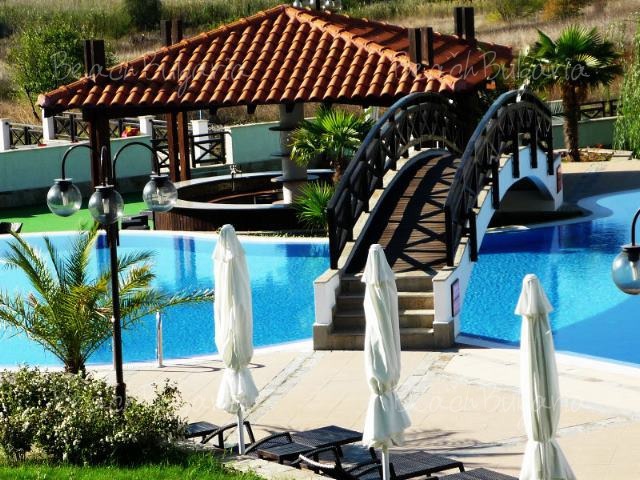 The complex offers a garden by the swimming pool and a piano bar. 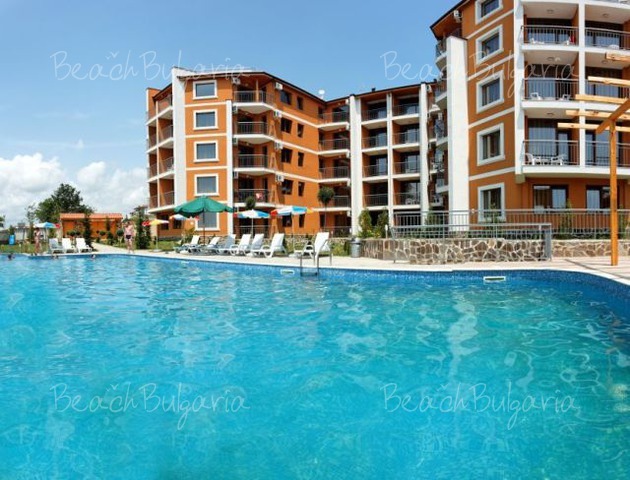 The property offers 2 outdoor swimming pools, sunbathing terraces with sunbeds and umbrellas, guarded car parking for extra charge, fitness, wellness centre with Jacuzzi, hydromassage tub, sauna, rooms for massages. * The rates are in Euro per studio/apartment, per night with breakfast, use of swimming pools, sunbed and parasole included. * Cancellations can be made, without penalty until 31.03. If cancelation is made within 01.04 and 01.06 - 10% penalty. For any other period will incur a fee equivalent to the full cost of the accommodation. 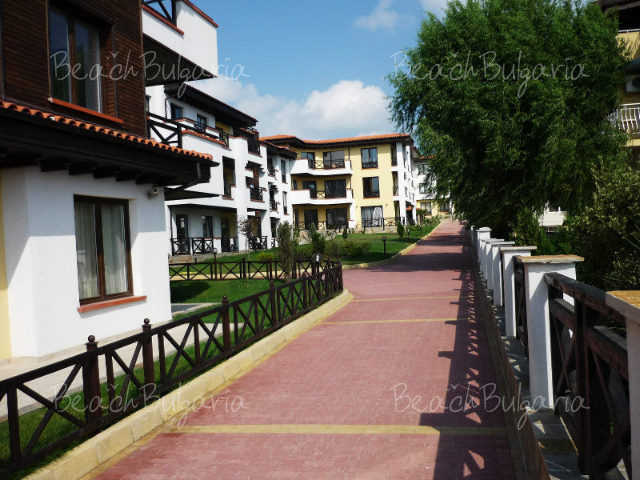 Please, post a comment on Sveti Nikola Village. 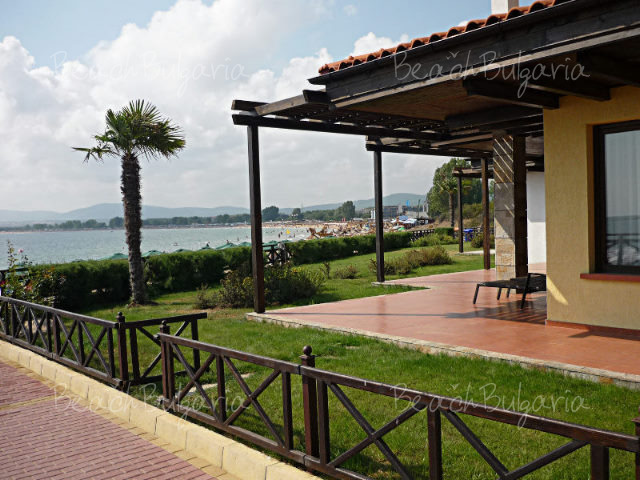 Best deals Kristel Hotel St. Constantine and Elena Get free overnights - 14=12, 7=6!